Discussion in 'Registrars' started by NoeIST, Nov 18, 2018. 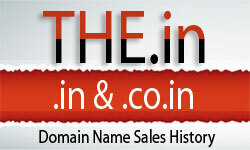 NameSilo, has surpassed the 2 million domain milestone. This puts NameSilo in the top 20 of the nearly 3,000 ICANN-accredited registrars in the world and one of the fastest growing with a domain increase of almost 90% in just the last 12 months.